What features matter the most when it comes to choosing a good laptop for digital artistry? Well, the first requirement in our opinion is the quality of the display, followed by the availability of a Stylus Pen and lastly the processor speed. So, the key to finding a device that gives you the freedom to make good use of your creative juice is to invest in something that provides a great balance of those 3 qualities. Ordinarily, making a successful search based on such parameters would be pretty difficult. That’s why we took it upon ourselves to compile this list of the 6 leading laptops for drawing. 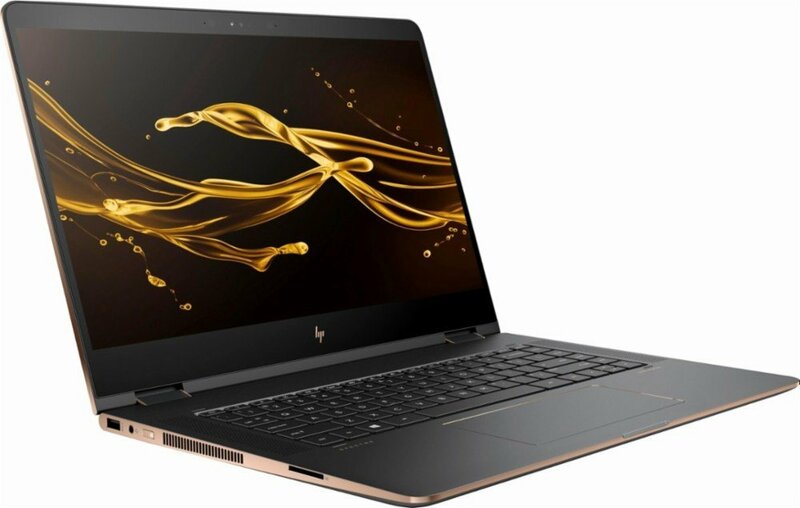 Besides relying on a powerful Intel Core i7-8550U processor, the HP Spectre X360-13t has a built-in turbo boost power. Ordinarily, the Core i7-8550U processor is meant to work at a base frequency of 1.8GHz. While that’s great, it may prove inadequate for anyone looking for a bit more torque. Fortunately, the Spectre X360 comes with a turbo boost mode which enables you to take advantage of speeds at frequencies of up to 4GHz. So, there’s no doubt that this is a pretty fast and powerful machine. But when it comes to drawing, there are quite a few things that also matter. The first one is the functionality of the touchscreen. As an artist, you want to go for something that’s highly sensitive to touch and also accurate. A closer look at the Spectre X360 is that it comes with a WLED-backlit touchscreen. This is based on a powerful Corning Gorilla Glass NBT that’s reputed for retaining a great and fast performance in the long-haul. Another thing, this convertible machine provides you with an HP Active Stylus Pen. This feels as comfortable as a normal pen. 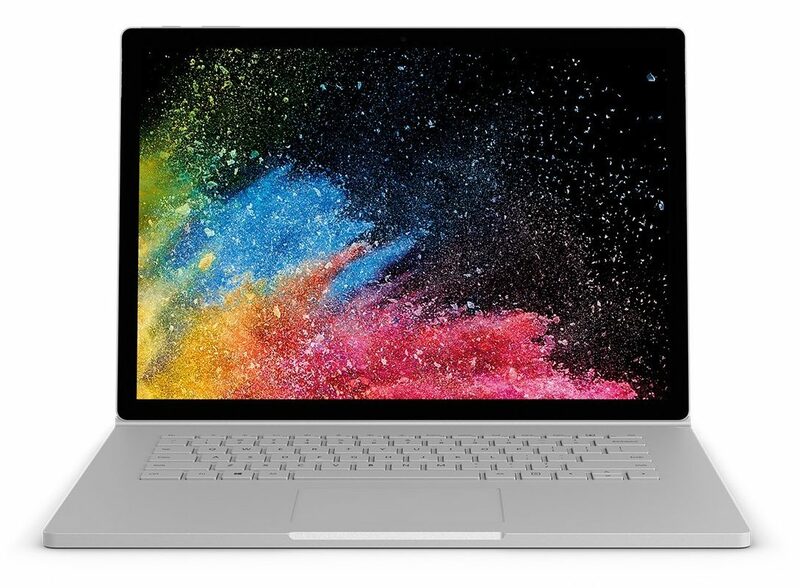 The Surface Book 2 is known for two things – (1)A user-friendly studio mode and (2)4,096 levels of pressure sensitivity. In other words, this is a great choice for a user-friendly graphic designing experience. Plus you can always count on its high-pressure sensitivity to attain a great deal of accuracy. Moving on, the Surface Book 2 comes with a Vibrant PixelSense Display. What’s more? The display can always be detached with a simple push of a button. Therefore, you can always use this either in Laptop or Tablet mode. Its Studio Mode is specially designed to provide you with a comfortable and natural position for a fun experience when drawing. And that’s in addition to an easy-to-use surface dial, pen, and touch technology – all meant for an immersive, creative experience. It’s also important to note that this laptop comes with an NVIDIA GeForce GPU graphics card. This card is so powerful that it empowers you to create stuff without limits. You can even create fantastic 3D experiences with it. Remember, this package also comprises a unique surface pen with over 4,096 pressure sensitivity levels. In a nutshell, that’s the kind of flexibility you need to design stuff with no lag. Comfort is a major factor to consider especially when looking for an opportunity to bring out your best talents. Fortunately, the Surface Pro has all it takes to design and complete artworks with no qualms. For instance, it has an Intel Core i5 processor which works so well when combined with an 8GB RAM. Of course, the Core i5 processor is no match for the 16GB offered by the HP Spectre but it certainly is worth giving a shot. Perhaps one of the major selling points of the Surface Pro is the fact that it comes with a powerful battery. This is capable of lasting you for more than 13.5 hours even when used for video playback. Besides being functional, this laptop is quite practical. It weighs less than 1.69 pounds which means it is light enough to be taken anywhere you might want to use it. You can even stash it in your backpack and head out for a long walk without noticing its weight. Another plus with the seemingly perfect laptop is that it comes with a well-designed Surface Pen. Although this pen is sold separately, we believe it’s worth investing in. It comes with 4,096 pressure points which provide you with a great level of accuracy and sensitivity. In fact, the Surface pen has a rubber eraser on one of its ends which makes it a natural drawing tool. Just like a normal pen, this one has ink on one end and the eraser on another. Would you like to finish your job faster and efficiently? 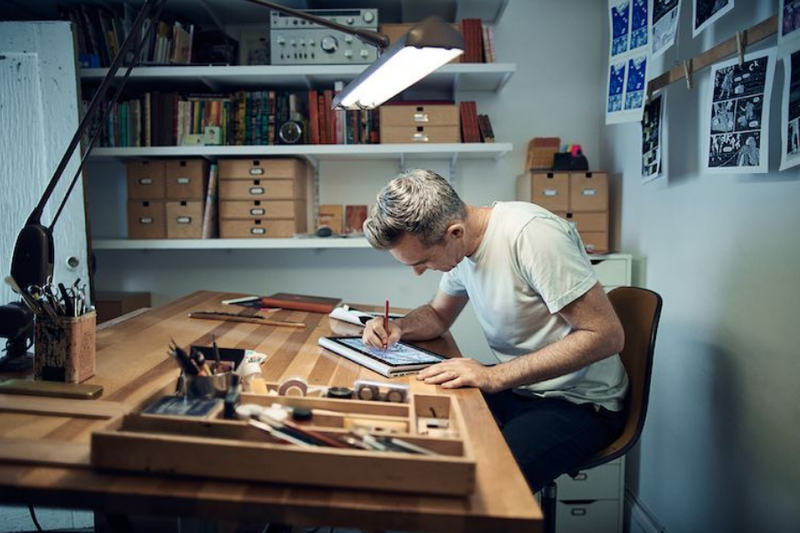 With the Surface Dial that the Surface Pro comes with, you’d have all the power to come up with the designs you love with ease. Armed with the latest 8-th generation Core i7 processor, this laptop presents you with immense power to exercise your creative freedom. The unit has a 13.9 full touch screen which is all you need for hands-on control. 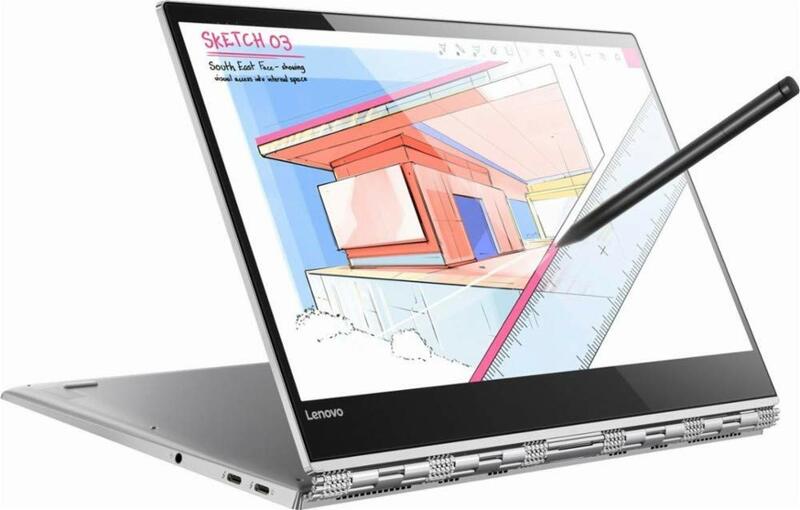 On top of that, it comes with a Lenovo Active 2 Stylus pen which allows you to come up with your unique drawings. 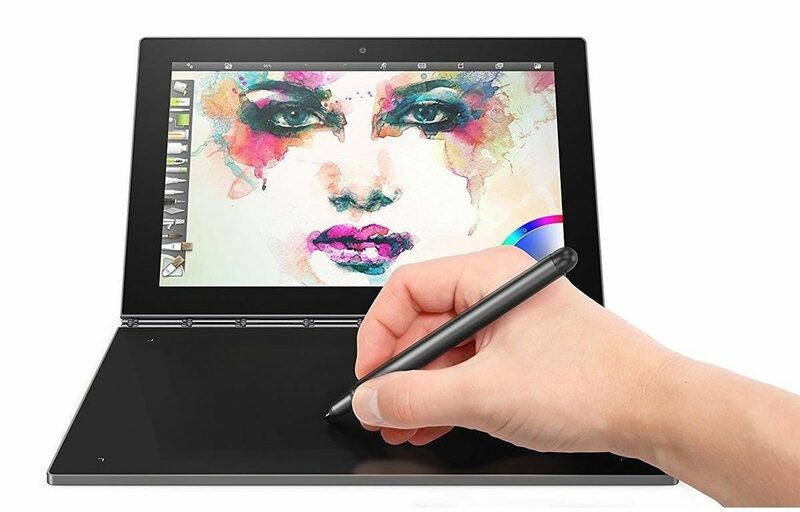 So if your main excuse for avoiding in-digital drawings is the lack of hands-on control, you’ll be pleased with the package offered under the Lenovo 920. 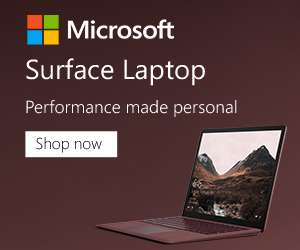 At the same time, the laptop has built a great track record with its award-winning accuracy which pretty much mimics what you’d expect from a physical medium. And to make sure you’re always in a position to deliver stunning designs, this unit provides you with a 4K display. That’s in addition to a well-thought-out 360-degree flip-and-flop screen design. So, you can get busy creating some masterpiece hand-drawn designs and show them off when necessary. That way, you can get more clients and boost your following. Back to functionality, this ultrabook is renowned for being fast and efficient. It also boasts a relatively good battery life in addition to being very light in weight. The Yoga Book from Lenovo is available in both Android and Windows operating systems. That’s a big plus since you can always choose the OS that best suits your style or software needs. What particularly liked about this little device is the fact that it has a smooth functioning Intel Atom x5-Z8550 processor. This processor packs as much as 2.4GHz worth of base frequency. And besides that, the tiny laptop comes with a 4GB RAM. This, of course, may not be the most powerful processor on the market but it certainly is of great value if you know how to use it. The good thing with having such a well-made processor is that it provides you with the torque needed to run multiple apps. And guess what? You can even drag and drop text from one app to another. So, you can do multiple tasks at once whilst staying organized – all thanks to its well-made taskbar. Despite its friendly price tag, the Yoga Book comes with a stylus pen which uses real ink. This way, you can come up with sketches or even write things down in your own hand-writing. The pen detects 2048 levels of pressure meaning you can come up with your very own, unique sketches without the need to invest in a real canvas. The screen itself presents you with a host of tools. This way, you can even pan and pinch-to-zoom with one hand while using the other pen to run the Stylus Pen on the drawing pad. That’s in addition to the presence of a Halo keyboard which can be customized to appear when needed. Its battery life is yet another awesome feature. You can comfortably run this device for more than 12 hours on a single charge. Best of all, the entire unit weighs less than 1.5 lbs. Isn’t this the license you need to take your creativity with you wherever you go? This is probably one of the finest made laptops for artists. Why so? Because it comes with a powerful touchscreen display and an ultra-sharp QHD+ resolution. The display spans 3200×1800 pixels also boasts a reliable InfinityEdge touch display. Its battery life is still great although, at an average of 10 hours, this high-end device is a few rungs lower than some cheaper models. That said, a 10-hour battery may just be enough for you unless you’re planning to be out there in the field for several days. In that case, you’d need to take a charger with you. The Dell XPS also comes with a Stylus Pen. This is provided alongside the laptop itself which perhaps also explains why it’s a bit pricey. The good thing here is that you wouldn’t need to order for a Stylus Pen separately (this can actually help you save time). Have you ever tried to draw on a laptop only to end up frustrated due to an unresponsive processor? Well, that’s why you need to bank on the latest rigs. 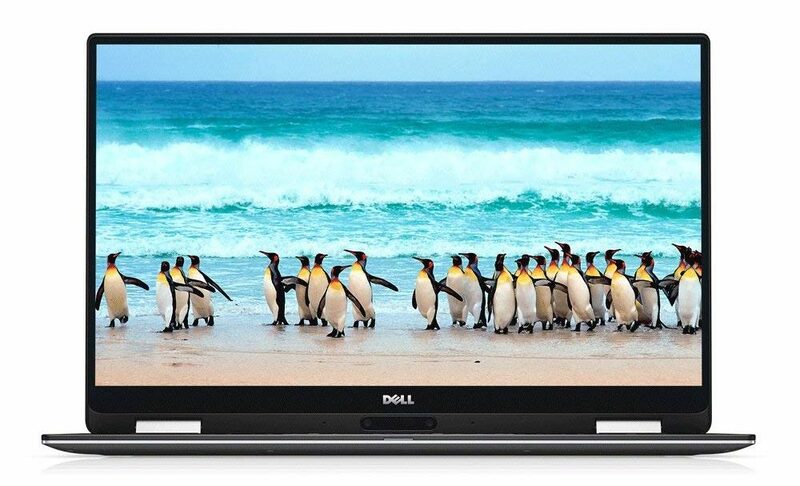 And luckily, the XPS comes with a powerful Intel Core i7 processor with the capability to provide up to 3.6GHz of base frequency. On the flipside, though, despite being such a high-end device, it only supports 2,048 levels of pressure. This is almost half of what the Microsoft Surface Book 2 offers. 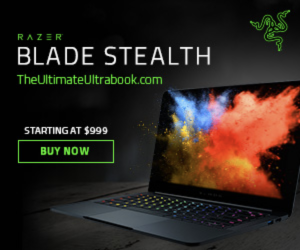 As you might have noticed from the reviews above, almost all the big boy laptop manufacturers have attempted to raid this niche-specific market with their unique innovations. 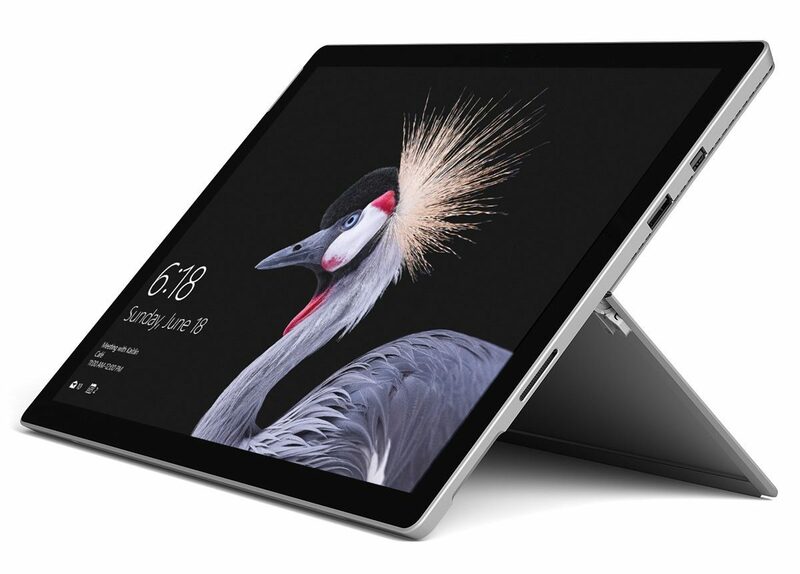 Microsoft has particularly invested a lot in this field and that explains why the Surface Pro and Surface Book 2 feature prominently on this list. Lenovo has also not been left behind. Actually, one thing you’re likely to notice about Lenovo is their tendency to design affordable machines which also try to combine a bit of all the features that matter. 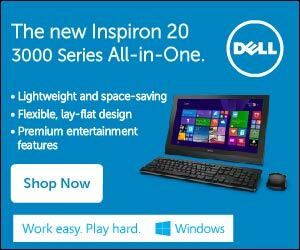 Dell has also made a deliberate attempt to conquer the market with its eye-catching Dell XPS. Unfortunately, despite it having such a powerful processor, it offers a disappointingly low-pressure sensitivity level. The HP Spectre is what, in our opinion, seems to offer the best bargain so far. It packs a generous 16GB RAM and a powerful Core i7 processor which can always be turbocharged. That said, its base frequency of 1.8GHz is a bit too low in our opinion. For that reason, you’d always need to run the Spectre on Turbo mode most of the time and that means putting up with noisy fans.